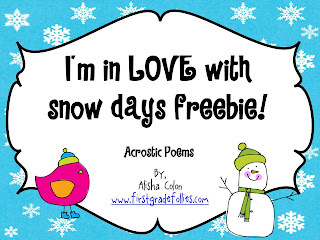 ...with UNEXPECTED snow days like today! Today is one of those days where I was truly surprised to get the 5:30 2-hour delay call and then was ECSTATIC to find out that we had cancelled! We had some freezing rain last night and I can imagine that some of our rural roads, which might still be snow-covered from Friday's snow, were not safe to drive on. 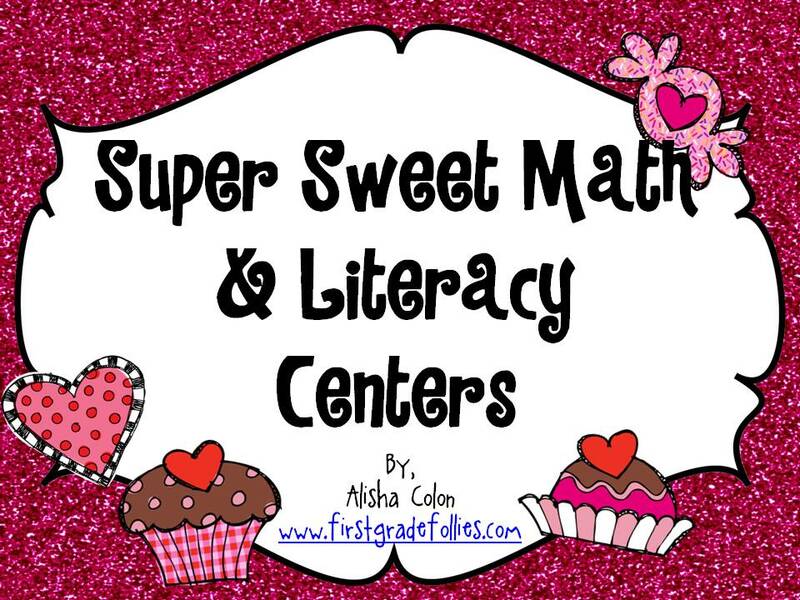 SUPER SWEET MATH & LITERACY CENTER PACKET! Aaaaand, to spread the love, it's 20% off until the end of the month! Grab it on TPT Here! Another reason I am SUPER excited for today is that it pushes our 100th day of school back to Friday. This is something I've been yakking about for a couple of weeks because I discovered that the 100th day would have been this Thursday, and I'm out for a grade-level meeting all day. 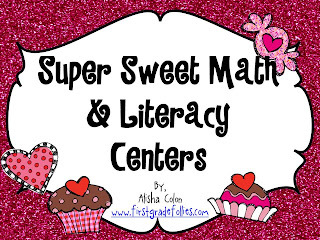 I finally decided to just celebrate on Friday when I came back, but was feeling a little bad that it would be the 101st day..even though my kiddos wouldn't notice. 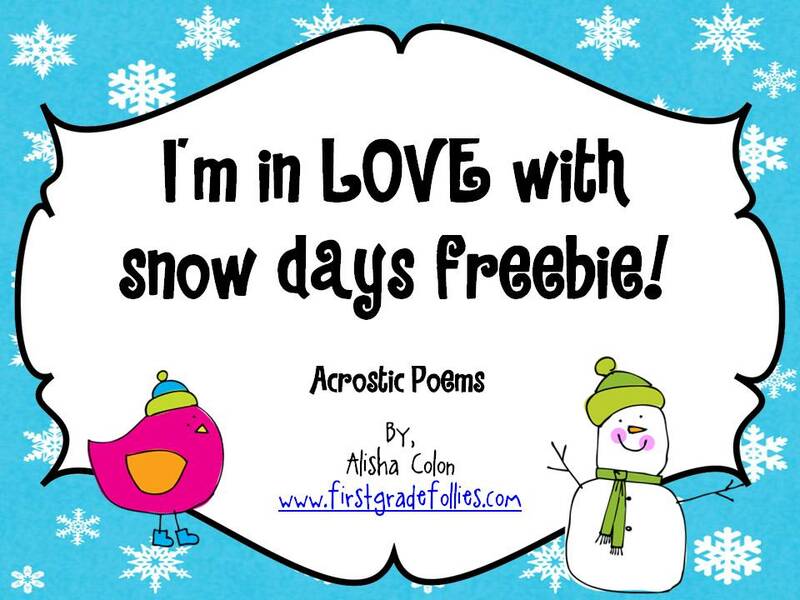 In honor of today I created a little pack of acrostic poem frames in a SNOW-DAY theme! Well, so far, today's productivity hasn't reached beyond this laptop and a cup of chai tea. I've also promised my hubby a good dinner since I'm home all day. I'm thinking chicken & black bean enchiladas! Mmmm! Here's to celebrating snow days...or ice days! Thanks for sharing this printable on Manic Monday! It's a great idea! But, have to say, I REALLY LOVE your blog background and header!!! Thanks, Debbie! Leah from Cutsie Blog Designs re-did my blog last summer and I love it! She's fantastic!